THANK YOU to all the incredible people who came out to another SOLD OUT Stand Up For Pits in Tacoma WA last night!! 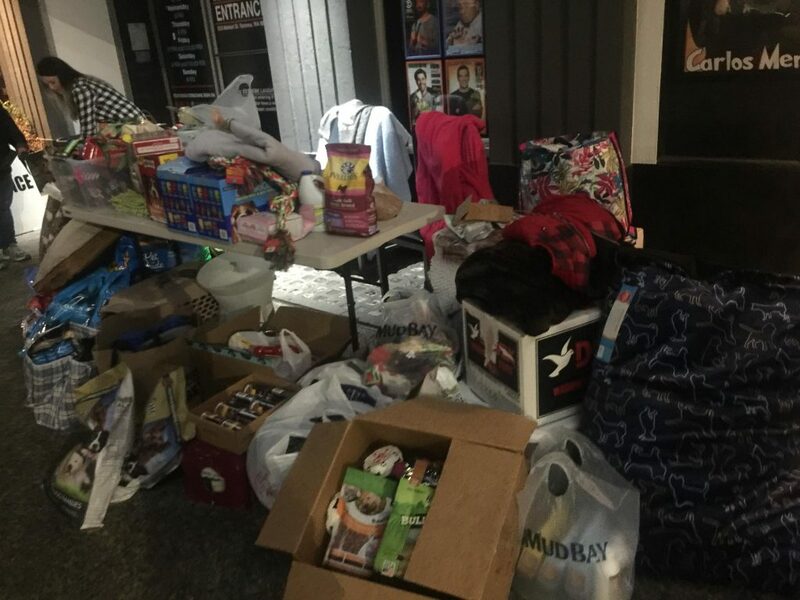 A massive $8000.00 worth of shelter supplies were donated and went directly to two local shelters! Huge thanks to Lori and her amazing family for heading up the SUFP silent auction and to all who donated items. This effort brought in an extra $1,127.00 that SUFP would not received without the dedication of these amazing people. Being a part of powerful community who fights daily and who remains dedicated to educating, advocating and saving lives is an honor. This movement continues to grow year after year in cities nationwide and it’s incredible to see. We thank those who get off their couch and out from behind their computers and actually do the work. Every effort matters and we are proud to stand for our inherently good dogs with humans who take action. Keep it up and we will see you next year and for as long as it takes. Thank you for coming and for standing up for our inherently good dogs. There is much work to be done. See you next year! Amazing!!! We had a blast at the event. We will attens this event again for sure. Thank you for what you do for the pitties!